You are currently browsing the daily archive for September 22, 2016. IT has updated the information on software provided for staff and students and put this into one place. 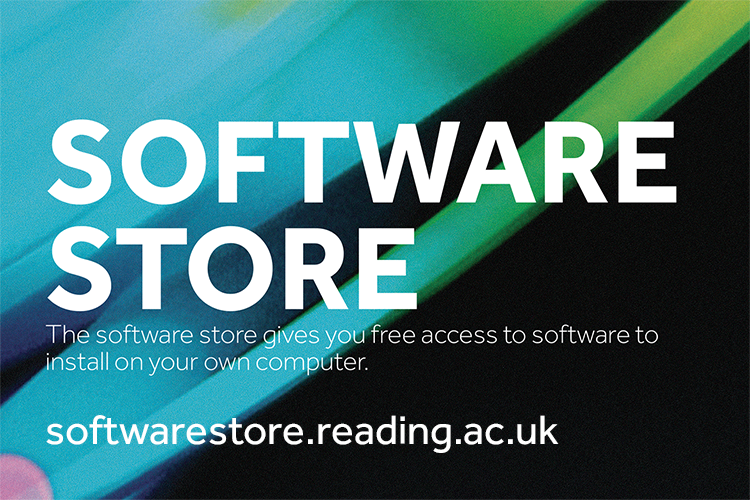 The Software Store – http://softwarestore.reading.ac.uk/. Here you will find details of all of our site licensed software as well as links to other commercial offerings, such as Microsoft Office 365. Most of these packages can be used for free by staff and students for academic purposes. Please see the store for further details. Coming soon – these applications and more, on App-J, our Application Jukebox. If you have any further questions, please contact the IT Service Desk, either via the Self Service Portal (https://uor.topdesk.net/), email (it@reading.ac.uk), or phone (6262).